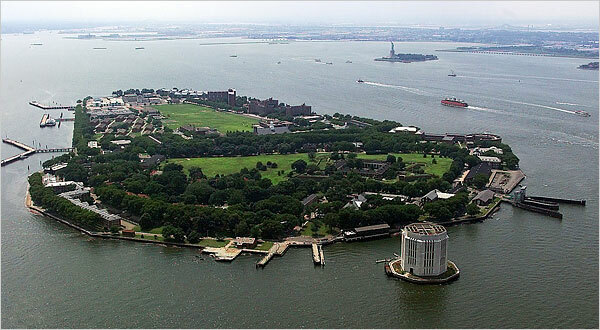 The hour fast approaches: this Saturday and Sunday at Governors Island is the first annual New York City Poetry Festival, presented by the Poetry Society of New York. Metro Rhythm will be among the many great organizations at the festival. At 1pm on Saturday 7/30, Metro Rhythm will present readings by Kirkwood Adams, Danniel Schoonebeek, and Timothy Donnelly. And Julia Guez will be there as our personal master of ceremonies– come see her before she leaves New York! Just looking at the numbers on Facebook, this event promises to be huge, and is most certainly not to be missed. Readings and events will run from noon to 5pm on both the 30th and 31st. Come early, stay late! There’s no better way to finish up July than with some inspiration from some of the best poets in NYC. Please RSVP on Facebook, and we’ll see you there. And if you’re looking for another place to get your fix of Metro Rhythm this month, come check out the First Annual New York City Poetry Festival! 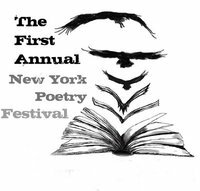 Organized by the Poetry Society of New York, the Festival will feature a range of New York’s best poetry outlets: presses, publications, and reading series. Best of all, there will be a full weekend of poetry: Noon to 5pm on Saturday July 30th and Sunday July 31st. We have an exciting lineup of readers representing us: Danniel Schoonebeek, Kirkwood Adams, and Timothy Donnelly. Come see them (and our guest m.c. Julia Guez) on Saturday 7/30 at 1pm. Then stay on for the rest of the day’s events! We’re so excited to be taking part, and we look forward to seeing you there! You can learn more at The Poetry Society of New York, and RSVP on Facebook.